Chief Minister Pinarayi Vijayan’s initiative to solve the energy crisis in Kerala might be an exciting news, but when the project related to this threatens to create an ecological imbalance, the people in the community have to find another solution quickly. Kerala is a southern state of India and partially depends on the private sector for electricity. With its growing power crisis, the government is left with no choice than support the Athirappilly hydro electric project. However, this alarmed the environmentalists. According to them, when the project gets implemented, it would create an imbalance in the ecology and would likely destroy the Athirappilly waterfalls. This ongoing problem inspired two siblings, Arun and Anoop George, to find innovative ways of giving a solution to India’s energy crisis that would not create any environmental threat. These two developed a wind turbine that can generate enough electricity to power an entire house for a lifetime. 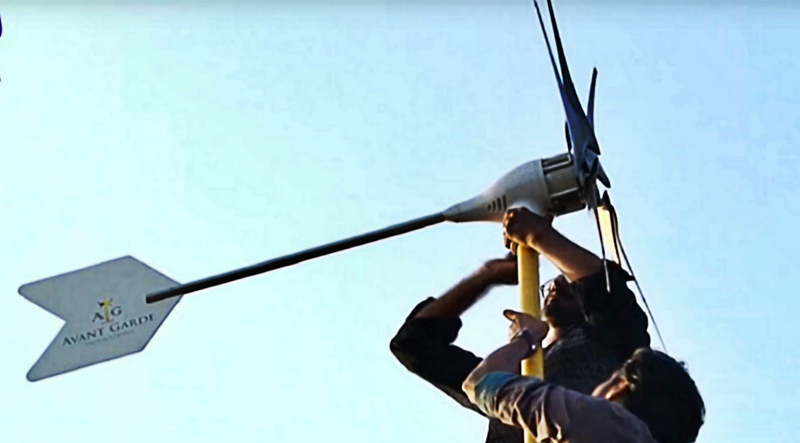 This wind turbine that is as large as a ceiling fan can generate 5 kWh/kW. And it’s not only suitable for residential, but also for commercial, agricultural and rural settings. The Avant Garde Innovations, which the siblings incorporated in 2015, is a startup with a ‘green’ heart and soul. A massive opportunity awaits this startup since India ranked sixth among the world’s largest energy consumers. Bringing electricity to remote villages could cost the government millions of dollars. For this matter, the Avant Garde comes as a savior, planning to offer the wind turbine generating 1kW energy at a small cost of US$750. They also promise to reduce the cost through mass production. The Avant Garde Innovations is starting to receive positive recognition worldwide. Their revolutionary product won a spot in the Top 20 Cleantech Innovations in India. The United Nations also included this startup in their $1 Billion Clean Energy Investment Opportunity Directory. The company was also honored as one of the Top 100 Global Startups at the NEWENERGY Global Startup Fest in Kazakhstan. With the Avant Garde’s innovation, it only shows that we have the capability to sustain our economy without the need to hurt our environment.